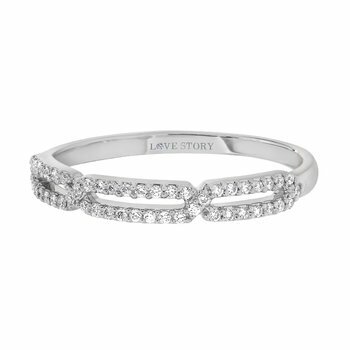 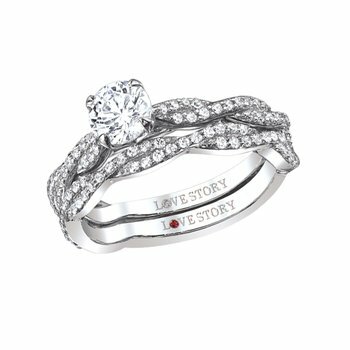 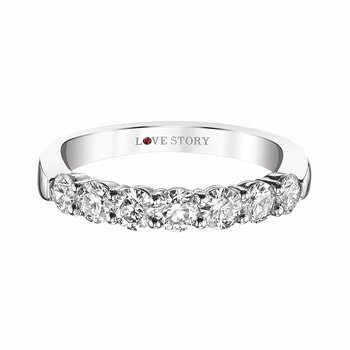 From our Love StoryÂ® Collection, this serene and sophisticated Bridal Set evokes a sense of vintage refinement. 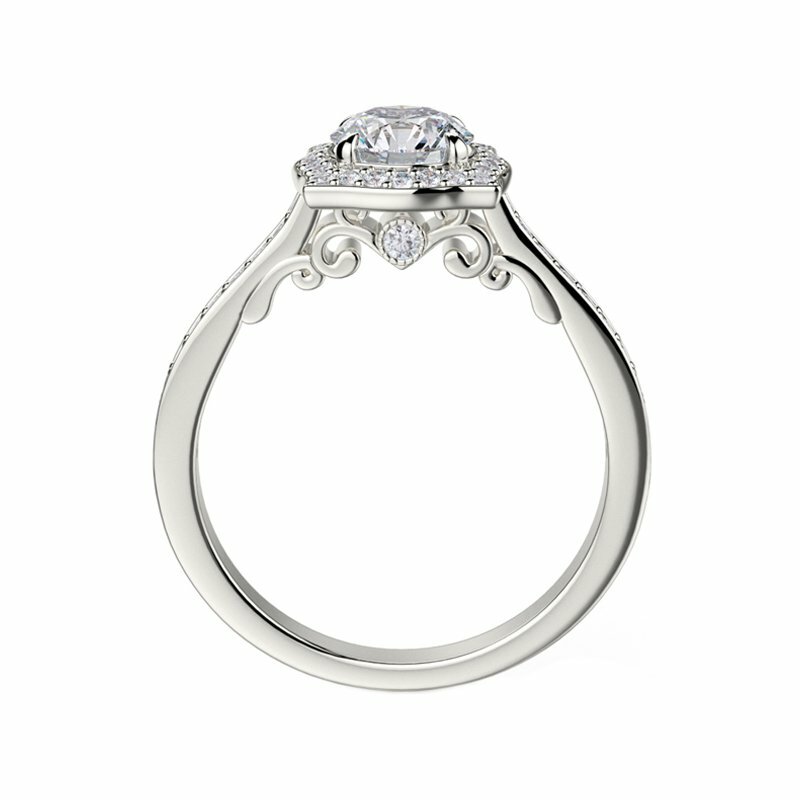 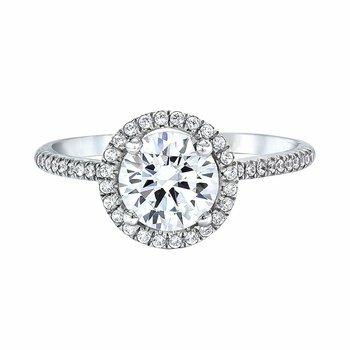 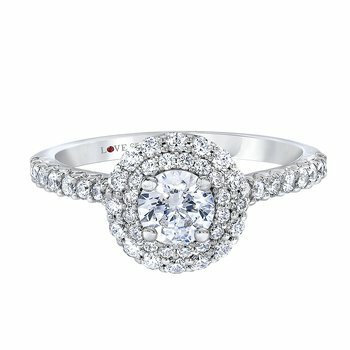 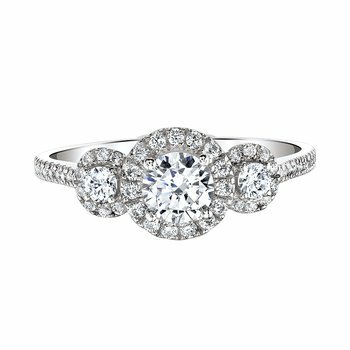 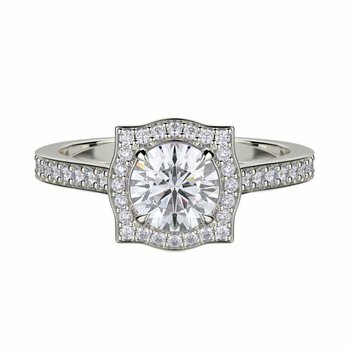 A simple, twinkling diamond band frames the stunning halo surrounding the gleaming center diamond. 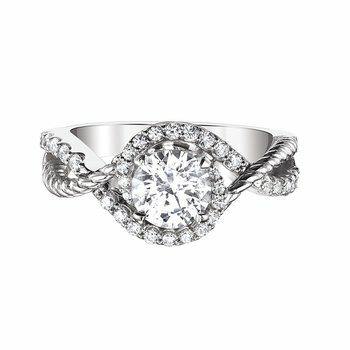 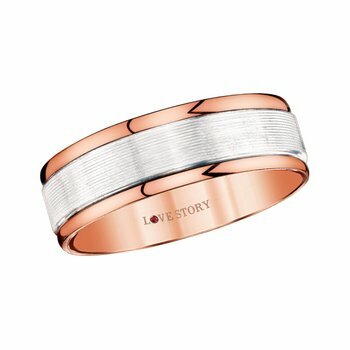 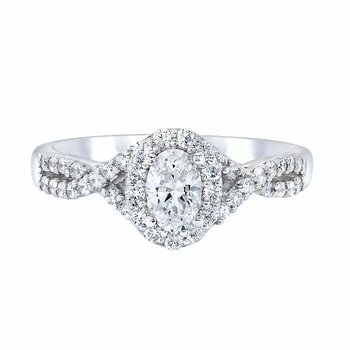 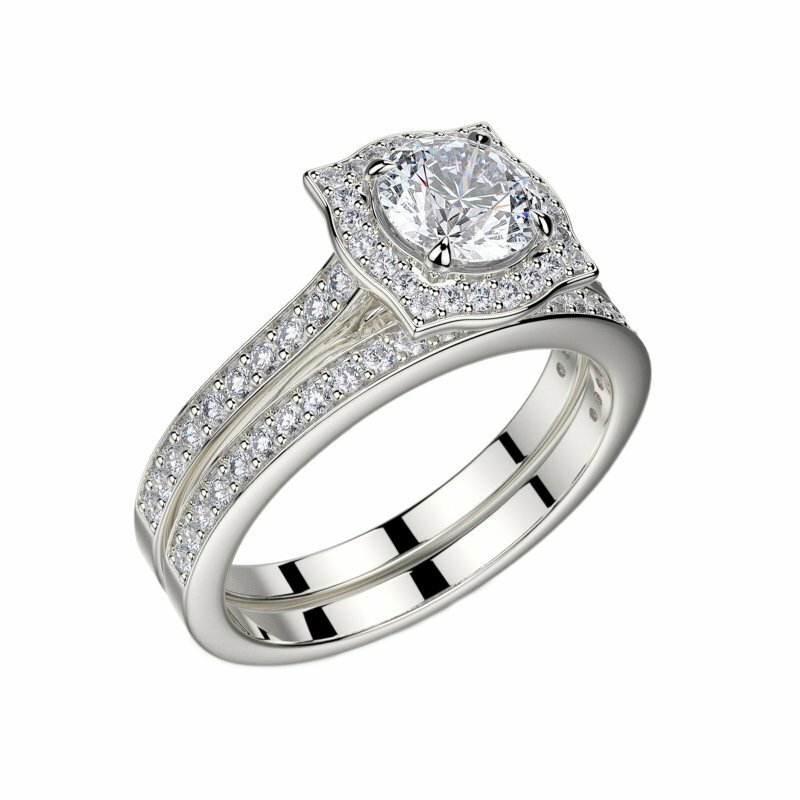 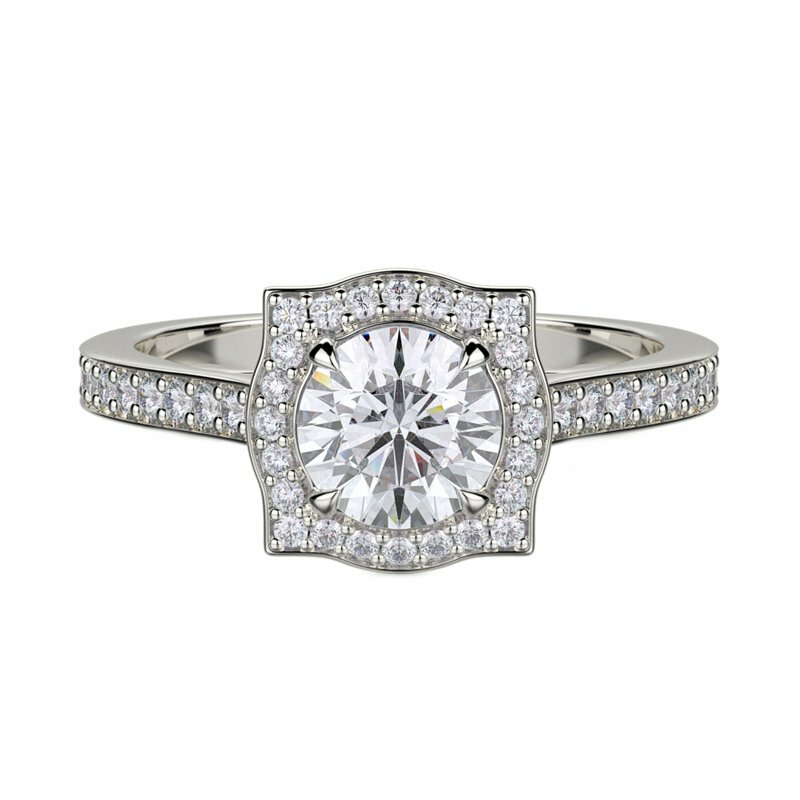 The timeless look is completed by the slender row of diamonds in the matching wedding band. 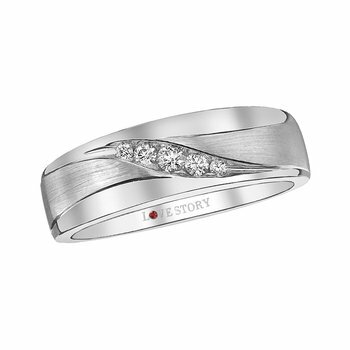 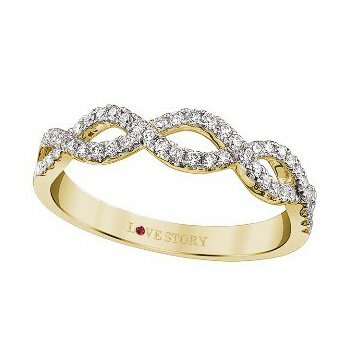 Our signature logo and ruby is embedded in the shank for an added secret message.